Three days ago, the documentary film The Price of Sugar received its premiere here in Vancouver. The screening was organized by Necessary Voices, a public interest group that sponsors public lectures and screenings, and Cinema Politica, a film collective with chapters in cities across Canada. One hundred people attended. The Vicinis are trying to block screenings of the film by threatening to sue anyone that shows it. The Vancouver Public Library received a threatening letter. After consideration, it decided to allow the organizing groups to go ahead with the screening. The film depicts not only the wretched conditions of the plantation workers, but also their struggles to improve conditions. A courageous Catholic priest came into a leading role in their struggle. His name is Christopher Hartley, and much of the film's story is told through his eyes. Hartley spearheaded efforts in recent years to bring health care and better housing to the workers in his parish. U.S. doctors who come to the parish to offer health care and who have worked in the poorest regions of the Americas tell the film that the conditions of Haitians in the sugar cane fields of the DR are the worst they have seen. Hartley also played a leading role in a recent strike of workers to win better pay. Unfortunately, the film does not indicate the date of the strike and I searched in vain on the internet to locate this information. The strike won some gains for the workers. hold onto the gains they had won. Meanwhile, Hartley's priest colleague was successfully forced out of the country. According to one review of the movie that I read, Hartley has been reassigned by the church to Ethiopia. I don't know the story behind this reassignment. The film depicts Hartley's bishop as defending him in the face of violent threats by the Vicinis and their hirelings. sugar as a food staple and as a foundation crop of the slave plantations of preceding centuries. Sugar was, of course, the most lucrative product of the slave-plantation system in Haiti. Neither the interview with Abbot on CBC nor the discussion period following the screening of the Price of Sugar in Vancouver discussed what can be done to defend and improve the conditions of Haitian workers in the DR. Similarly, there was no discussion of the conditions in Haiti that compel tens of thousands of its citizens to travel to the DR, often under great personal danger, to seek work. But the appearance of these books and films opens the door for a broader public discussion of both subjects, provided, of course, that solidarity activists are organized to make this happen. To date, we are finding a particularly receptive ear in the trade unions and among young people. The distributors of The Price of Sugar have contacted CHAN to invite us to promote and help distribute the film. We will forward more information as it becomes available. start Tuesday, March 25th. Will keep you informed. BC Parks' managers continue to amaze me. After costly studies and years of public outcry, the plan to build a new parking lot in Cathedral Grove was eventually shelved by the Environment Minister. growth forest during a windstorm always been a public safety issue where the risks are widely known and accepted? hydrology suggest that the increased flood levels are caused by the nearby ongoing unsustainable logging practices. It's likely that rebuilding the trails and footbridges will become an almost annual event if the flooding and blowdowns continue to occur with ever increasing intensity. Parks' staff should abandon their cutting plans and focus instead on looking at the root causes of the flood damage. Allowing this part of the ancient forest to be left in its natural state would certainly be in the public interest for future generations. LONDON — David M. Rubenstein, co-founder of the Carlyle Group, pledged on Thursday to “make amends” to investors in a fund that has ties to his firm and is facing collapse. “We’re working to find ways to help people to deal with losses and maybe recover some capital,” Mr. Rubenstein said in a telephone interview. The fund, Carlyle Capital, came to the brink of collapse on Thursday after discussions on refinancing failed, prompting a default on its debt. The fund’s inability to strike a deal in talks with creditors late Wednesday, despite help from Mr. Rubenstein and the Carlyle Group’s strong ties to lenders, sent renewed shudders around global markets. Investors fear that more funds will run into trouble as clients seek withdrawals. Mr. Rubenstein said that the banks recognized this was “an unusual situation” and he did not expect the fund’s collapse to have any repercussion on the Carlyle Group’s relationships with the lenders, which include most Wall Street banks. The Carlyle Group shares some investors with the fund, which is run by Carlyle Group executives who also own about 15 percent of the fund, but Carlyle Group does not own any of its assets. Carlyle Capital said Thursday that it expected lenders to take possession of its remaining assets, a portfolio of United States residential mortgage-backed securities rated AAA. Carlyle Capital’s problems also provide a glimpse into the challenges faced by the usually secretive hedge fund industry because, unlike most such funds, Carlyle Capital is publicly listed. The situation has also raised questions about the vulnerability of the privately held funds, which disclose little data. Carlyle Capital joins a number of funds that have run into trouble this year after banks hit by write-downs on assets backed by subprime mortgages started to call in loans or asked for better collateral. Among the funds that are struggling, Peloton Partners, a hedge fund in London run by former Goldman Sachs partners, was forced to liquidate its largest funds last month. Thornburg Mortgage, a major American lender, also ran into trouble after it failed to meet some margin calls, and Drake Management in New York said that it might shut its largest hedge fund. Some investors say they believe that attempts by central bankers to inject funds into the banking system may not be enough to revive markets. Last month, Carlyle Capital was managing $21.7 billion in assets— mostly triple-A rated mortgage debt issued by Freddie Mac and Fannie Mae. Like many of its peers, it had leveraged itself aggressively, borrowing $31 for each dollar of equity, according to its annual report. Lenders include Deutsche Bank, Bear Stearns, Merrill Lynch and JPMorgan Chase. As those investments lost value and banks worried about their debt exposure, creditors demanded that Carlyle Capital put up more and more funds as collateral for the loans. A $150 million credit line from its parent, the Carlyle Group, was not enough to keep it out of trouble. By Wednesday, it had defaulted on about $16.6 billion of debt and some lenders started to liquidate assets. Talks to halt liquidations and revive the fund failed late Wednesday after the value of collateral declined further, prompting an additional $97.5 million in margin calls. The fund’s shares, which were first offered in July 2007 and are traded on the Amsterdam Stock Exchange, are now worth 43 cents each, compared with $19 when they started trading last summer. They have dropped more than 90 percent since the company’s problems became public last week. In a statement Wednesday, the Carlyle Group stressed that it had not purchased any of Carlyle Capital’s securities and was linked to the fund only by name, the credit line and the fact that about 15 percent of the fund’s securities are owned by Carlyle Group employees. The fund is run by John C. Stomber, a managing director at the Carlyle Group and a former executive at Cerberus Capital Management. This week I took a journey into unknown territory, in an environment that kept me out of the sun. I spent two days listening to architects, construction engineers, designers, municipal planners, authors of building codes, certification administrators, energy consultants, and building contractors of every discipline. I learned a great deal as one of 400 participants in the ‘Building Green in a Changing Climate’ conference and trade show held in Courtenay. Public demand for environmental standards and accountability has sparked change in the construction industry and some companies are complying with tough standards in order to attract customers. Rising material costs, as well as an increase in operational costs for all buildings, have combined with skyrocketing energy costs. The result is that the construction industry is beginning to realize that it must seek out alternatives. In today’s market place building ‘green’ makes sense economically. A great deal of creative and technical innovation is being generated with amazing results that will effectively revolutionize the building industry. However, only a small percentage of industrial, institutional, or residential construction projects are currently being built using green thinking and materials. The ground swell has begun and now it is up to the public to move it forward so that industry follows through with this green trend. Leadership in Energy and Environmental Design is a market driven system, which is attempting to prove to consumers that building construction meets with the highest environmental standards. LEED is an internationally recognized rating system that encourages the construction of green buildings, administered by the Canada Green Building Council. Accredited professionals are trained and certified to monitor projects in order to award buildings with coveted ratings. LEED has 5 principle categories by which it assesses construction projects for environmental sensitivity: Sustainable Sites, Water Efficiency, Energy and Atmosphere, Materials and Resources, Indoor Environmental Quality. Certification is based on the number of points awarded for their compliance with these standards. Innovation in the design process can win additional points and negative points from noncompliant areas can be off set by points gained in other areas of the overall project. One contractor admitted that they separated all of the construction waste material, went to great lengths and expense to transport it to the proper facility, and then discovered that it was all dumped into the same land fill. None of the material was recycled because the governing authorities had not implement any recycling at that facility. However, the building received LEED points based on the fact that the contractors had done their part to recycle the material. Other large projects reached targets of 95% recycling of waste materials where the proper facilities were available in larger urban centers. In today’s real-estate market on Vancouver Island, with the potential for massive returns on investment dollars, entire communities are being built from scratch. The theory is that environmental devastation, caused by bulldozing large tracts of land, can be off-set by the ability to plan an entire town based on platinum rated ‘green’ standards. On paper it may work to move environmental points from one area to another, but on the ground when the road is blasted in and the trees are cut down the ecosystem is changed forever. The term ‘Net-Zero’ refers to the energy consumption of a building, this along with ‘carbon neutral’ were catch phrases used repeatedly throughout the conference. In the forefront of my mine was the term “Green wash!” However, I truly believe that many of the professionals who made presentations at ‘Building Green’ want to change construction and are working towards a green future. A strong argument was presented about sustainable building practices, since current construction practices tend to produce homes which may only last 30 to 40 years. European models have proven that residential buildings can exist for hundreds of years by using the proper care and attention to design, construction, and materials. The call was for building standards that will increase the longevity of buildings so that they are accountable to the amount of energy and resources put into them, thereby effecting environmental sustainability. WASHINGTON -- U.S. banking authorities have tapped a Depression-era financial tool to save Bear Stearns & Co., Wall Street's storied fifth-largest investment bank, from succumbing to a wave of contagion sweeping through the lending industry. The loan to the 85-year-old Bear Stearns, which survived the Great Depression and a world war, marks the first time the U.S. Federal Reserve Board has stepped in to bail out an investment bank. After repeatedly and vehemently denying rumours of liquidity woes, Bear Stearns said it sought help from the Fed late Thursday after what analysts described as a classic run on the bank. The Fed is providing the infusion through JPMorgan Chase, Bear Stearns's main banker. And so it goes with the U.S. credit crunch, which erupted last summer in the esoteric market for high-risk home mortgages. Officials keep insisting the problem is manageable and contained, only then to see it infect another corner of the banking industry - in the United States, Canada and around the world. A majority of economists now believe the powerful U.S. economy has probably slipped into a recession, as a growing number of consumers and businesses run into credit trouble. Bear Stearns, which has been stung by a series of bad bets on subprime mortgages and leveraged hedge funds, suddenly experienced "pretty broad cash outflows" on Thursday, chief executive officer Alan Schwartz conceded to investors and reporters in a hastily arranged conference call. "Frankly, this is a bridge to a more permanent solution," he said. Investors weren't impressed. Bear Stearns shares tumbled nearly 47 per cent to $30 (U.S.) yesterday - the largest one-day fall in its history. Standard & Poor's and other credit rating agencies scrambled to downgrade the company's debt, a move that exacerbated its financial stress. News of the historic bailout triggered a broad sell-off on North American stock markets. The Dow Jones Industrial Average fell more than 194 points to 1,1951.09, or 1.6 per cent, a decline mirrored by markets elsewhere. On Wall Street and elsewhere, skittish investors are continuing to flee to the safety of gold and oil futures, and away from the U.S. dollar amid widespread concern that the United States has slipped into recession. Mr. Schwartz insisted the emergency 28-day loan would allow Bear Stearns to quickly resume normal operations. But the company is reportedly being shopped around already by financial adviser Lazard Ltd. to potential buyers, including JPMorgan and others. Other reports suggested the company could be wound down, with its best parts sold to others. Among its mounting problems, Bear Stearns was a major creditor to the $21-billion (U.S.) Carlyle Capital hedge fund, which collapsed earlier this week after creditors lost confidence in its ability to pay its debts. Experts worry that Bear Stearns might be just the tip of the iceberg, and that other financial institutions might be on the verge of collapse. "The greatest credit bubble of all times has burst," said economist Ed Yardeni of New York-based Yardeni Research Inc. "The consequences are getting exacerbated by the greatest margin call in the credit markets of all times. The Fed and other government agencies really don't have much choice but to provide the greatest bailout of all times." Rumours were swirling yesterday that Lehman Bros. might be the next U.S. investment bank to face liquidity problems. The Bear Stearns bailout has sent "reverberations throughout all markets worldwide," said Sherry Cooper, chief economist at BMO Financial Group in Toronto. "Not only because this is another 'too-big-to-fail' scenario, but also because it has strong implications for a domino effect in the already weakened financial services industry and beyond," Ms. Cooper wrote in a research note. "... Other firms will likely continue to suffer the results of the credit crunch and loss of investor confidence." The crisis at Bear Stearns comes just days before the Fed's next scheduled rate-setting meeting Tuesday in Washington. Economists had expected another half-a-percentage-point rate cut. Many now predict the Fed will have to lower its benchmark rate as much as three-quarters of a percentage-point to deal with the worsening housing slump, a possible recession and now a more extensive freeze-up of credit markets. "Events are extremely fluid," agreed John Silvia, chief economist at Wachovia Securities. "If Bear Stearns or another major financial institution fails, a major financial panic would ensue." The Fed would have to lend even more money to troubled financial institutions, but it would also have to "cushion the blow to the real economy," Mr. Silvia said. Fed chairman Ben Bernanke hinted at the extreme pressure he is under as he prepared to deliver a speech on the housing market in Washington yesterday. "I've had a busy morning," he told his audience. In a brief statement acknowledging the Bear Stearns loan, the Fed said it is "monitoring market developments closely and will continue to provide liquidity as necessary to promote the orderly functioning of the financial system." The Fed is now throwing all of its resources at the credit problem, but, so far, with limited success. Among the Fed's main challenges: Mortgage rates are continuing to climb, even as the central banking system tries to force them down because lenders are loath to lend to anyone. And tighter credit will lead to more foreclosures, still lower house prices and a squeeze on consumers. The Fed has already cut its key interest five times, to 3 per cent from 5¼ per cent since last August. It has also announced a series of measures to inject liquidity in problem-plagued corners of the lending industry. The Fed, for example, this week set up a special $200-billion, 28-day lending arrangement, under a provision created in the 1930s to counteract runs on banks. Bear Stearns is its first beneficiary. The plan was announced as part of a joint effort by central banks in Canada, Europe and elsewhere to boost liquidity in the banking sector. Under the Bear Stearns deal, the Federal Reserve Bank of New York agreed to provide an unspecified amount of secured funds to JPMorgan Chase, which in turn would make loans to Bear Stearns. JPMorgan Chase said it is "working closely with Bear Stearns on securing permanent financing or other alternatives for the company." The bailout didn't sit well with many analysts, who complained that it creates a moral hazard to a company that took undue risks in the mortgage market. "Instead of letting Bears Stearns get crushed, and then see the assets and talent pool get scooped up by someone else, we keep a wounded Bear on life support hanging around," remarked Barry Ritholtz, director of equity research at Fusion IQ. "My preference is creative destruction." CARACAS (AFP) - Venezuelan state oil giant PDVSA has decided to sign some oil contracts in euros in the face of a plummeting dollar, local media reported, citing officials. "There are some contracts in euros, contracts for crude, products and spot markets in euros. This is a subject which we are working on," said energy minister and Petroleos de Venezuela (PDVSA) chief, Rafael Ramirez, in an interview with the journal El Universal published Friday. It remained unclear which oil sales would require payment in euros. Venezuela, Latin America's leading petroleum producer, has previously backed Iran's proposals for OPEC to abandon the dollar and use the euro for oil pricing. But the Organisation of Petroleum Exporting Countries has rejected the idea, at least in the short-term. The head of the journal Petroleum World, Elio Ohep, said the shift to euros was "good business" for Venezuela. "PDVSA always had an interest to negotiate in dollars because the company had refineries in the United States and needed cash but currently with the euro rising, it is taking in more dollars and (Venezuelan) bolivars," he said. The dollar hit new lows this week against the euro and yen, with the euro at 1.5669 dollars at 21000 GMT on Friday. Venezuela produces 3.3 million barrels of oil a day, according to official figures, and 2.4 million according to the International Energy Agency. Half of its production is sold to the United States market. 5:00:00 3:00 Welcome to GR, etc. As the big day draws near, the day Vancouver will kick off the 2010 winter Olympiad, working citizens there are getting a bitter foretaste of what Vancouver will soon become. Already one of Canada's least affordable addresses, dwindling rental units and intense real estate speculation in preparation for the games, is chewing up the last remaining low-income accomodations in the city, leaving growing numbers no place to go. Monte Paulsen is an award winning journalist and author, now serving as Investigative Editor to the online news site, The Tyee.ca, who contributed to the book, 'The Buying of the President 2000,' and co-authored 'Beyond the Deep: The Deadly Descent into the World's Most Dangerous Cave.' 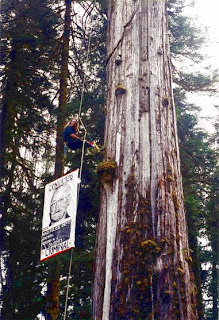 Paulsen is an Alaska native, now living in Vancouver, who has followed the effects the impending five ring circus there is already creating for that city's residents. Monte Paulsen and the poor weathering the developing Olympic storm in the first segment. And; across the straits, Victoria too is suffering some of the same deleterious social displacement caused by the building boom. In the city it means low-rent buildings falling altogether, or being gentrified; in the areas around the city, it means the destruction of wild lands and the displacement of creatures already endangered. Nowhere is this more contentious than in Langford, haven of unbridled development, and cozy home to conflicted politicians who comfortably vote on projects that enrich they and their closest friends. Jennifer Andison is a Langford resident standing in opposition to the mayor and council and the unfettered building boom they represent. She has walked the protest picket, attended council meetings, and created a website to record and publicize the questionable actions of Langford mayor Stewart Young and his council. She recently fell afoul of the city's bylaw enforcement officer, who charged posters affixed to trees in her yard, and in her home's living room windows must come down upon threat of prosecution. Jennifer Andison and the Langford gag reflex in the second segment. And; a free and true press is vital to the health of the body politic, but in Canada the corporate press has concentrated and solidified, clogging the arteries functioning to inform and empower the citizenry. Where once flowed that necessary information today remains a mere trickle. The Dominion is one of the few tributaries still bringing divergent views to the Canadian public's information stream; not satisfied to merely report to the nation, the editors of The Dominion are currently on the road, bringing their message to towns and cities across the country. Dru Oja Jay is a contributing editor with the paper. He's currently on the road, somewhere between the east and west coasts. Dru Oja Jay in the third segment. And; Janine Bandcroft will be here at the bottom of the hour to bring us up to speed with some of the good goings-on in and around the lower island in the coming week. But first, Monte Paulsen and Vancouver's games without frontiers. "Welcome to the program, Monte. Who is Robert Wilson?" Welcome back to GR, etc. Jennifer Andison is a Langford resident standing in opposition to the mayor and council and the unfettered building boom they represent. She recently fell afoul of the city's bylaw enforcement officer, who charged posters affixed to trees in her yard, and in her home's living room windows must come down upon threat of prosecution. "Welcome to the show, Jennifer. You seem to have found by accident what the prime minister of Canada has sought in earnest: A pocket of the land where pesky laws like freedom of speech don't exist! Tell us, please about your recent encounter with the guardians of Langford's bylaws." Welcome back to GR, etc. Not satisfied to merely report to the nation, the editors of The Dominion are currently on the road, bringing their message to towns and cities across the country. Dru Oja Jay is a contributing editor with the paper. He's currently on the road, somewhere between the east and west coasts of Canada. "Welcome to the show, Dru. How's the Dominion's 'Own Your Media Tour' going so far?" 5:59:00 1:00 Thanks to Monte Paulsen, Jennifer Andison, Dru Oja Jay, J-9; upcoming.